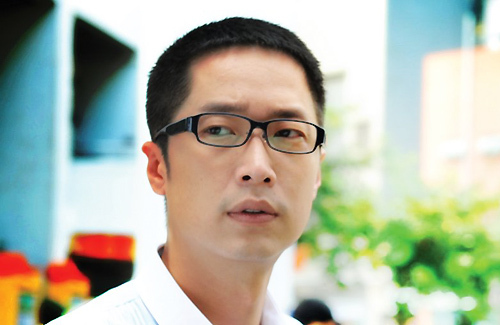 Steven Ma (馬浚偉) has revealed that he will return to TVB in May to film new period drama, Property Protector<守業者>. Yesterday, the 41-year-old actor guested on Commercial Radio’s CR1 radio show to promote his comeback single and first plug, “Understanding” <心照>, a song he personally composed and wrote. The full-length studio album, which contains 11 tracks, will be released in June. Steven revealed at the radio show that he is currently in final negotiations to return to TVB to film Leung Choi Yuen’s (梁材遠) new television serial, Property Protector. The period drama will take place during the Republican Chinese era, and Steven will be collaborating with old friends Maggie Shiu (邵美琪), Tavia Yeung (楊怡), and Evergreen Mak (麥長青). Steven will be holding a concert in July and plans to return to Beijing in September to film another mainland Chinese drama. Can’t wait to watch this drama! Seems to be awesome! Fans everywhere and of all ages. Listen to yesterday rthk radio program (opera and old songs niche) call-in segment @29:00 on the link below. The call-in si-na’s & popo’s effusive outpouring of affection for Steven is no less than that of his fangirls. Listen to the numerous xxjie jie + po po heaping praises on him, and in no uncertain terms told him to shoot a tvb series for them to watch cos’ they miss seeing him on their tv. Their unrestrained affection for Steven is very heartwarming to behold. Steven must be so touched to feel the love from them. A must listen for all SM fans and supporters. Btw, the hold-up on Steven’s contract negotiation is that he only wants to sign that one contract for the May series, but tvb wants him to sign a one-series-per-year contract for an x period of time. the only reason steven comes back is because catherine tsang and producer leung literally begged and forced him to come back to save the crumbling tvb. with his loyalty he can’t say no. stop saying crappy things. That’s not the case at all. Steven Ma is very grateful for Catherine’s help when he needed it most. He’s a man with good morals and traditional values. He will help those in need if he’s able to help and that’s exactly what Catherine is asking from Steven Ma. Quite honestly if someone else asked him to film for TVB he might be hesitant to accept it. I like all the casts and I am looking forward the custom fitting and the serie. Steven looks handsome in that picture. The only reason he comes back is because he’s loyal not because he can’t find work elsewhere. He’s doing very well for himself right now, starting his own production company starred in a couple of successful series in Mainland and now an album. He stated many times that he will always see TVB as his home, it has nothing to do with whether or not he’s can’t find work elsewhere. He’s too nice sometimes I feel, they treated him like crap but is still willing to come back and film for them, he has nothing but good words for TVB they should treasure him more he’s one og the very few that can actually act and lead a series. agree. steven doesn’t even have to come back with his huge success in mainland and with his new comeback to making his own album, but out of loyalty and gratitude he still come back to the filthy sinking tvb since catherine tsang andeung choi yuen literally forced him to come back by leaking out details before he even say yes! steven is a model worker you can count on! Way to go Steven! Tho I prefer costume drama more, I will def try this & I hope it’s gonna be awesome! I am so glad that Steven Ma is filming series for TVB again! He is a really good actor! Can’t wait! I bet he’s going to win “some kind” of award for his work in TVB. Tsang jeh will give him a special award, I bet. Republican drama cos’ he loves that era and being that he has never shot one yet in TVB makes him want to do it. And as a military officer character is just a bonus to his fans cos’ they so badly wanted him to portray one, and had made it known to him numerous times on his weibo. 2006: Do you feel that you don’t belong to this time period? 2011 Best is portraying an extreme villain and a post modern series. As for post modern era, that’s because I love the history in this era. Let me portray Sun Yat Sen or maybe Zan Sai character from 京華春夢. I like to meditate, sometimes got so into it that I became quite peculiar. I, often, suspect that I do not belong to this era. Close friends know that I am very fond of singer Eason Chan’s 1874. I like it not because of the movie, but because of the lyrics. If I were born in 1874, then what I experienced would relate to one of China’s most turbulent eras. The weakness of late Qing; the invasion of the Great Powers; the signing of the Treaty of 1901; country invaded, internal strifes; Japanese occupation; the 9.18 Mukden Incident; 7.7 Marco Polo Bridge Incident, The Nanking Massacre, the post 1949 Chinese cultural revolution, so on and so forth. All these and more, during China’s most turbulent era in the past century, inflicted the people with ineffaceable pain, and hatred, too. The elders told me it is a blessing not to be born into that era! True, what I know about that era is either from books or documentary films. I did not experience its turbulence nor endure it. But perhaps of my wont to transport myself through contemplation: the despair, the pain, that moment of hopelessness, that indelible hatred; I felt as if I had been through them! If I were living in that era, I would step out; step out alongside the national army to protect homes and country, and to defend: our motherland and her honor, the citizens’ properties and wealth, the citizens’ lives, and most of all, the citizens’ dignity. Even though during that era staying alive was no easy task, but to lose my country – I would rather risk my life and shed blood, at least, it was done in the name of nationalism! Truly, living in this present society, I sometimes feel distress. Distress, really it should be bliss! I live in Hong Kong, a prosperous and vigorous city with hardly any natural calamities, and well-protected by motherland to boot; in my opinion, it is a patch of Heaven’s playground. To be able to live here is indeed a blessing! But, oftentimes when immersed in happiness, one tends to become overly pampered, therefore, one tends to become more demanding of this and that from life; one tends to be more demanding of this and that from Hong Kong; one tends to become more demanding of this and that from the country. So, what of one’s own demands of oneself? Mankind’s greatest shortcoming has to be if they make no demands of themselves. People who have no demands of themselves tend to become irresponsible, habitually shifting responsibilities onto others, while conversely becoming overly demanding of others. If I were like that, I would soon become a zombie, a person of no tomorrows! Although this may not be the only approach, it is one of them, which is, to bow one’s head in introspection. Introspection is the best approach because the answers are usually found during the self-reflecting process. Whatever I could do today, I’d first ask myself before I ask others; before I take, I’d ask my contribution first; before I ask tomorrow, I’d ask yesterday first! Maybe my love for 1874 is because I want to ask 1874! yay cant wait love all the casts!!! I have always wanted to see him play a real serious bad guy full of hatred. He has the ability to get really intense and it’s usually wasted in his good guy roles. Kind of sick of Qing dynasty series though, wish they would go back farther. If watch mainland tv series, can watch Steven’s dual roles in Yuan Yang Pei,鸳鸯佩 – 1) a simple, naive country bumpkin, 2)The first young master bend on exacting vengeance at all cost on the wrong done to him. Steven’s acting was highly praised and the series’ ratings ranked first consecutively in Hunan during its run there. Can’t wait to see Steven Ma, seems like a very good drama!! I hope he will pair up with either Sharen Tang or Ada again. It wont be Ada, she’s taking care of her 2nd child. Confirmed by Producer Leung the female lead is Tavia. And of course fans left explicit entreats (positively begging on their knees. lol) to Leung not to have a triangle love relationship and that Steven and Tavia must end up together. I’m not really a fan of series from this era, but I’m still looking forward to seeing him in this series. Me neither a fan of that era but I really enjoyed watching this one mainland tv series of that era 夜幕下的哈尔滨 starring Lu Yi, Zhou Jie and Li Xiao Ran. Lu Yi is a uni lecturer at day, at night the leader of a local Japanese resistant cell. Zhou Jie is a Japanese newly appointed as the head of the same university. He is a lover/scholar of Chinese history and cultures, and is secretly sympathetic to the Chinese cause. Must say Zhou Jie did well portraying the a stoic Japanese person torn between loyalty to his Emperor and own conscience over his compatriots’ atrocities towards the Chinese people. And of course Li Xiao Ran as the doctor is their love interest. The series garnered both good ratings and good reviews. But among the fake ps photo there is actually one real photo of Steven himself in a military uniform.